CITRAM aimed at providing a crop growth model with rainfall data in order to enhance the water management in agriculture. An HYDRIX® and ZPHI® software have been used in 2004 and 2005 in Boigneville (South from Paris, France) for agricultural purposes. The aerial part of the radar was put on the roof of the experimental farm of ARVALIS in Boigneville. The digitizing system and the processing computers were gathered in a room under the radar. 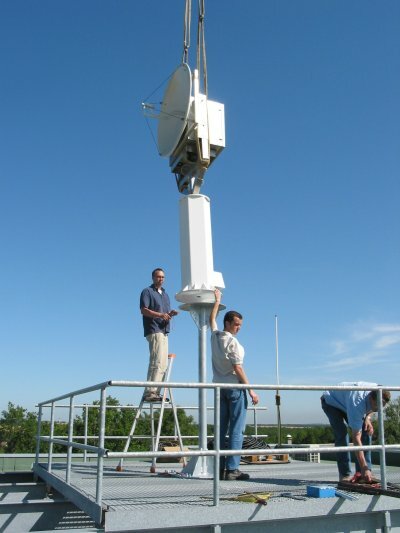 The radar was remotely controled and monitored from Velizy, 60 km from there. Remote control installation. Real time data processing. Final user data distribution in real time. (Rainfall data maps every 6 minutes, 1km² grid).